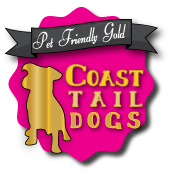 Here at Atlantic Coast we love animals, so with this in mind we have a brand new for 2012 - GOLD awarded holiday home. So you can now take your pet with you and stay in luxury. Thoughtful and practical design underpins the success of the Rio Gold, which has proven to be popular with both holidaymakers and holiday home-owners alike. The lounge and dining areas combine to create an extensive array of seating options and whether it’s the bold vitality of the rich burgundy tones, the soft warmth of the barley colours or the understated design of the ‘Golden Twist’, the Rio Gold can be specified to reflect your individual tastes. Spacious and functional kitchen areas boast decorative cupboard doors and drawers in clean neutral tones that are complemented by butcher’s block style work surfaces. The Willerby Rio 2012 has three bedrooms and all Rio Gold models benefit from two separate toilets, this takes the form of an en-suite in both of the two bedroom versions adding a real touch of class to this affordable holiday home range.